Some cats do not tolerate change well. These are the cats most likely to be affected by a new baby, so use the entire pregnancy to slowly prepare them. Play tapes of baby noises to acclimate your cat to the new sounds she's about to hear, or rub baby lotion on your hands before engaging in a pleasant activity with your cat to create positive associations with baby odors. Set up nursery furniture as soon as possible, and allow your cat several weeks to investigate before you select surfaces to declare off limits—such as the changing table and crib. Then, at least one month before the baby arrives, make the surfaces unwelcoming. Cut sheets of cardboard to the size of the furniture surfaces and cover one side with double-sided adhesive/masking tape. Cats tend to avoid sticky surfaces, and by the end of the month should learn to steer clear of these sites. 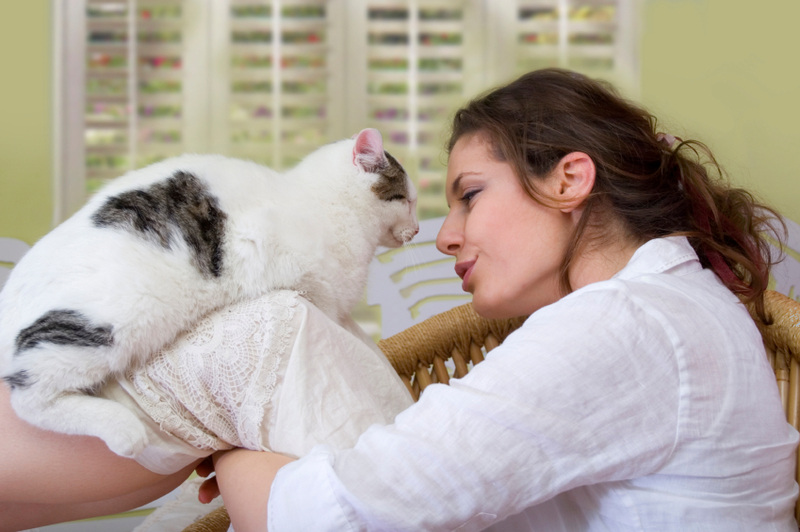 When you first arrive home from the hospital, peacefully greet your cat in a quiet room without interruption. Once you've had a few minutes to reconnect, let in everyone else—partner, baby, grandparents, baby nurse and other well-wishers. Place a used receiving blanket or piece of infant-wear in a quiet area where the cat can investigate it. 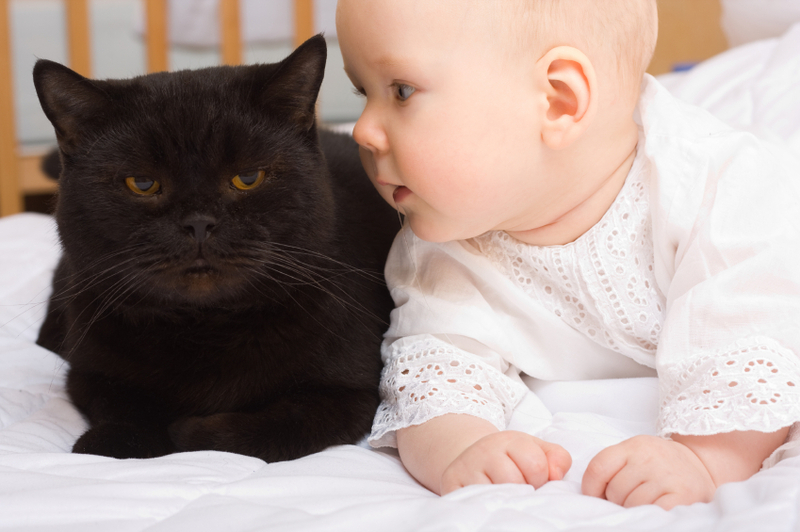 Make sure that the crib and other baby sleeping-locations are off-limits to the cat. A newborn cannot turn over or even move her head at first, so a heat-seeking cat who chooses to cuddle up close to the baby's face could make it difficult for the child to breathe. Close the door to the nursery when the baby is napping. If there is no door, either install a temporary screen door or place a crib tent over the crib to keep the cat out. These precautions also prevent the cat from urinating in the crib, something she may try if extremely stressed.